Get the Funk Out! : Ellen Tadd, an internationally known clairvoyant counselor, educator, and author, joins host Janeane 3/27/17 at 9:45am pst to talk about her latest book, "The Infinite View - A Guidebook to Life on Earth." Ellen Tadd, an internationally known clairvoyant counselor, educator, and author, joins host Janeane 3/27/17 at 9:45am pst to talk about her latest book, "The Infinite View - A Guidebook to Life on Earth." 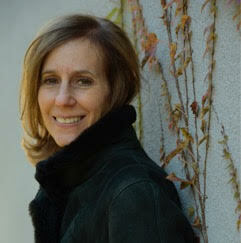 If you missed Ellen Tadd on today's show, listen here! Shortly after completing her freshman year in college, Ellen had a remarkable experience in which she was able to contact her deceased mother. Her mother’s presence and message healed Ellen’s childhood trauma of denying her clairvoyant and clairaudient gifts and transformed her view of the world. Very soon after this awakening she began to have contact with guides and teachers from spiritual realms who provided her with an extraordinary education. 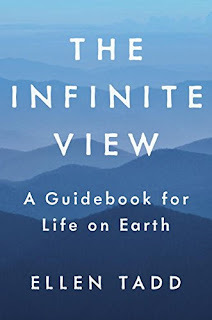 “The Infinite View offers a wide audience a deep yet practical way to connect to spirituality. I love this book.” — Giselle BundchenPeople often lean towards either trusting their gut or relying on their analytical mind, but Ellen Tadd urges readers to consider a new approach that allows both emotions and the intellect to be guided by wisdom. Through describing how the Spirit, soul, and personality are integrated, she guides readers in deepening and expanding their perceptions to discover practical solutions to everyday challenges. 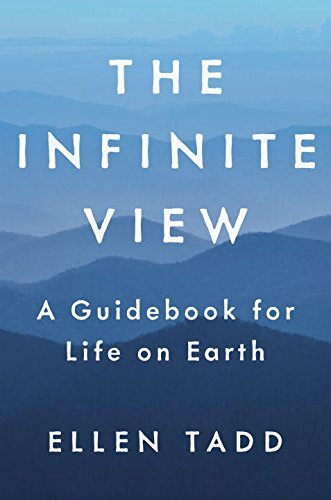 “The Infinite View is an amazing book that explains many of the mysteries of life and offers the reader tools and approaches to manage the journey through this life and beyond. Ellen helped me, the son of a renowned guru, understand and sort out how I fit into my dad’s life and success and understand my own soul’s path. —Scott Blanchard, Principal and Executive Vice President, The Ken Blanchard Companies.